We offer many different types of activities!! The purpose of most activities is to experience Japanese culture, use the Japanese you have learnt, and to communicate with local Japanese. There are no other schools in Hokkaido that will offer these kind of activities!! 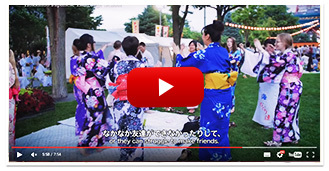 Shopping with local Japanese, visiting Hokkaido Shrine, experience making sushi, japanese flower arrangement, karaoke party, tea ceremony, and so much more!! We have so many fun activities for you! !